Every parent I know worries about their kids. They worry about how they are doing socially. And they are worried about how their kid will handle the bullies of the world. We worry for good reason. Very few people are never bullied. In fact, even bullies get bullied. We parents know how tough life can be and our instinct is to protect our kids from the bullies of the world. But we can’t protect them from the bullies of the world. Not unless we lock them inside and refuse to let them have normal human interactions. A much saner approach is to teach our kids how to handle bullies to get them to stop. Bullies are gonna bully and haters are gonna hate. What we all need is a strategy to deal with it when it happens. Sticking our heads in the sand and then freaking out when it happens, isn’t working all that well. That’s why I wrote my book and started this blog. 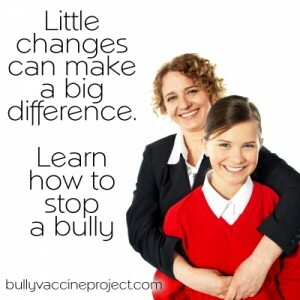 I want to help kids learn how to stop bullies using science and compassion. But to do that I need to reach and teach their parents. So please help a parent out. Join this website. Learn what you need to learn to help your child and then share the link to this website with other parents. Help them learn what they need to know so that when their child is bullied, they actually know what the need to do to help them.